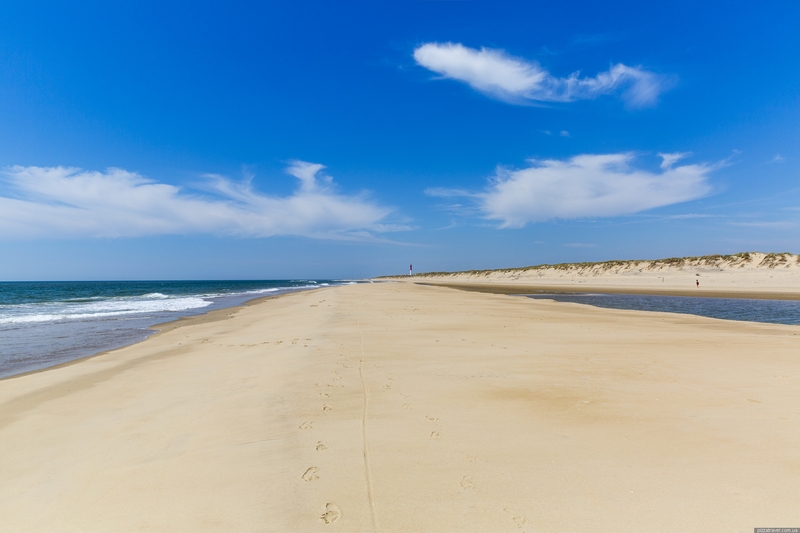 If you dream of an endless, empty and sandy beach, then Cote Sauvage is what you need. There are several beaches with such a name in France, since this is a common name, which means Wild Coast. 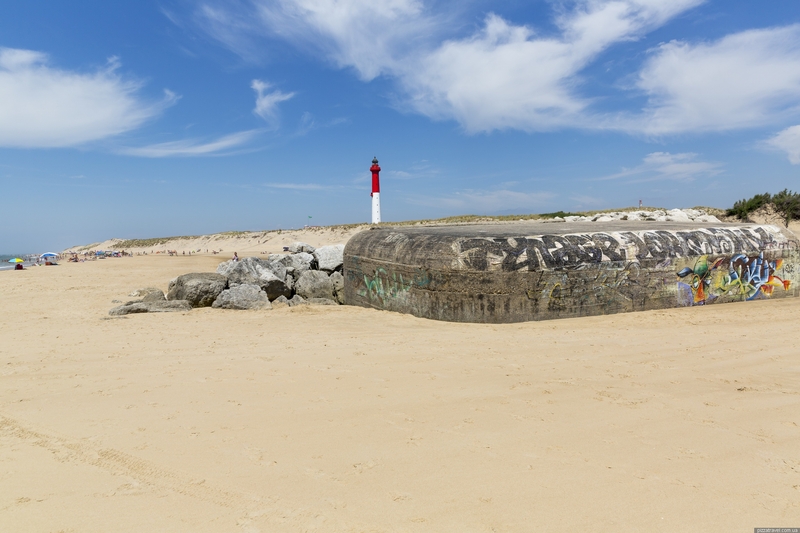 This one is located near the lighthouse of La Coubre. The beach is really huge. Its length is at least 20 kilometers and people can be found only in a few areas. 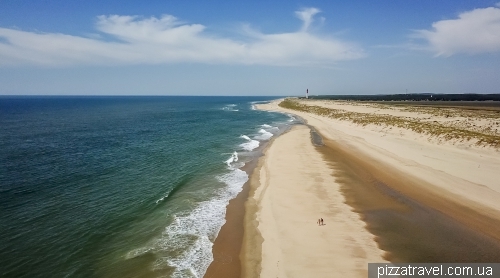 In general, mostly all beachers are resting near the lighthouse, there may be crowded. You can climb the lighthouse and look at the beach from above, check here the information https://www.pharedelacoubre.fr/lacoubrelighthouse. There is a small parking for visitors N 45 41.781 W 1 13.935. But if you walk at least a kilometer along a sandy spit, then people disappear. We walked there for about two hours and met only two nudists. And that's all, during high season! 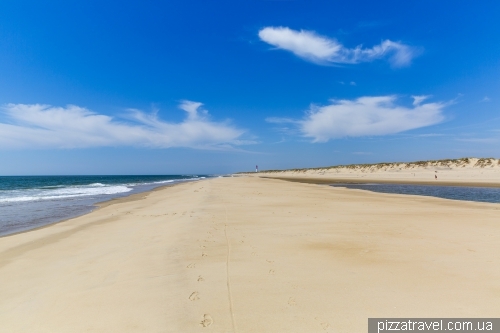 5 kilometers of beach at our disposal! 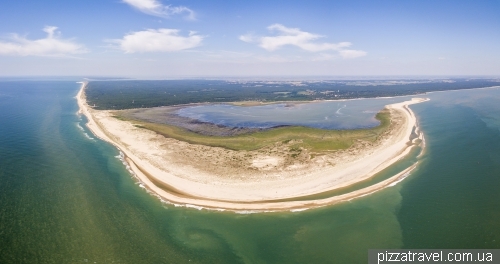 The beach is wild, without infrastructure. Getting there: A large parking lot near the lighthouse N 45 41.902 W 1 13.797. During summer months parking is everywhere along the road. By public transport is impossible to reach. The nearest bus stop LES MATHES - Palmyre OT is located 5 kilometers from the beach. It can be reached by summer bus 31 from the railway station in Royan (route map).